Fact is, materials selection gets complicated. The relationship between the internal structure of a material and its performance properties is not always clear. To shed light on the situation, this white paper helps guide you through the process of determining key performance parameters, from impact resistance and stress cracking to yield and tensile strength. Fuel cells: New frontier of electricity generation? Is bigger better for golf driver heads? Cover Image: Redox Power Systems' fuel cells bring green, affordable, always-on electricity to town. CLICK HERE to learn more about Rogan's Liquid Silicone Rubber Molding capabilities and Class 100,000 Clean Room. CLICK HERE for an overview of Rogan's comprehensive injection molding capabilities. Oseco's rupture discs have again been put to the test on "MythBusters," this time as part of a special dedicated to the award-winning "Breaking Bad" TV show. The pressure-relief manufacturer made its sixth appearance on the hit show when the "MythBusters" crew tested the explosive capabilities of a chemical composition. How do mini motors make an explosive detector work better? Explosives present an ongoing risk today, whether in the battlefield, city streets, or around high-value targets like airports or sporting events. The XPAK G2 Handheld Explosive Detector from RedXDefense provides accurate, fast results in an easy-to-use, handheld unit that leverages robust, high-torque-density brushed DC motors from MICROMO. Why do you need motors built into a super-sensitive detector like this? Read about the design behind the XPAK G2 detector. Fuel cells: Is this the new frontier of electricity generation? Redox Power Systems LLC and University of Maryland researchers have partnered to deliver breakthrough fuel cell technologies for providing always-on electricity to businesses, homes, and eventually automobiles, at about one-tenth the cost and one-tenth the size of current commercial fuel cell systems. Version 3.0 of Rexroth's popular GoTo Products app for the iPhone and iPad features several enhancements to give users better access to thousands of ready-to-deliver electric drives and controls, hydraulics, pneumatics, linear motion, and aluminum structural framing products. 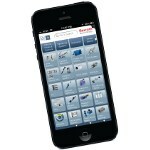 The updated app includes a new cart that allows users to quickly create and email order inquiries for specific products; the ability to generate and email custom "wishlists" for frequently needed parts; up-to-date price listings for all Rexroth GoTo products; and better overall parts search. GoTo Products app users can also create custom resource libraries by saving videos, links, or images from the app in a My GoTo Resources area. 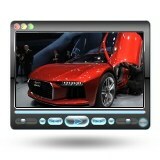 Videos and links can also be shared on Facebook or Twitter directly from the app for those using iOS 5.0 or later. NEMA Premium-efficiency induction motors are considered by many to be the standard for integral-horsepower, general-purpose, AC induction motors. While these motors raise the bar for energy efficiency, continuing improvement is both possible and cost effective. The latest design innovations in motor-driven systems can not only further improve equipment efficiency and performance, but they can bring benefits to bear such as higher power density, lower operating temperatures, and longer life. KAMAN innovation has resulted in the first eddy current sensor for position/displacement/proximity sensing with a self-tuning bridge. There is no longer the need to connect to a PC to download a configuration file when changing sensors or doing high-level calibrations. At the beginning of any of the linearity calibration options, the digiVIT detects the sensor coil parameters with the target being used. The bridge that balances the circuit is then automatically tuned for optimum performance for that calibration range and target material. 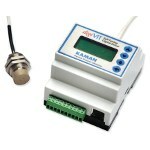 The digiVIT will perform with virtually any manufacturer's inductive sensor. The biggest difference between the digiVIT and past digital inductive linear displacement sensors is that all functions can be accessed through four pushbuttons on the front panel. All information is displayed on an easy-to-read, integral digital display. There is no requirement to connect to a PC to perform any calibration! For the food sector, igus now offers the iglide PRT family of lubricant-free polymer rotary table bearings. The PRT 01 slewing ring bearing design is made of corrosion-free stainless steel. The sliding elements between the inner and outer rings are made of iglide A180. As an FDA-conforming special polymer, A180 is suitable for contact with food and humidity. 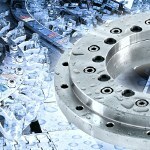 With their low-profile and rigid design, lubricant- and maintenance-free polymer rotary table bearings can replace lubricated ball bearing rotary tables or rotary connections. 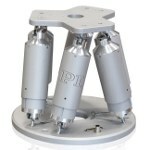 PI (Physik Instrumente) has added a lower-cost hexapod to its large family of parallel positioning devices. Hexapods produce motion in all six degrees of freedom. With a freely programmable center of rotation, these devices are virtually as versatile as the human hand. The new H-820 was developed for applications that require multi-axis motion and high flexibility but do not need precision on a nanometer or sub-micrometer level. Driven by powerful brushless motors, PI's new model caters to these needs with linear travel to 100 mm, rotary travel to 60 degrees, load capacity of 20 kg, velocity of 20 mm/sec, and resolution in the micrometer range. This hexapod is ideal for many applications, including industrial automation and manufacturing, neuroscience, and bio-technology research, or for micro-manipulation, the alignment and assembly of mechanical components, micromachining, satellite testing, sensor alignment, X-ray microscopy, and medical engineering. Teknor Apex recommends Chemlon 104 impact-modified polyamide for fasteners and cable ducts, and can supply it worldwide from plants in Europe, the U.S., and Singapore. 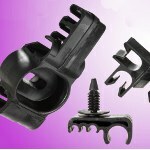 This new, toughened polyamide 6.6 compound for injection molding provides good flow properties for intricate or multi-cavity parts, along with flexural strength and low-temperature impact resistance for demanding automotive applications. The flexural and impact strength of Chemlon 104 polyamide enables components such as automotive fuel line fasteners to withstand the stresses of assembly and end use and endure exposure to cold. The material is available in natural, black, or any color specified by the customer. Engineers at Adams Golf talk about the reasoning behind their development of the company's successful Speedline driver line in 2009 and how using NX Flow software from Siemens PLM Software in new-generation models has changed their engineering game and radically sped up their time to market. Peugeot Sport's 208 T16 Pikes Peak racecar set a new world record of 8:13.878 min. at the Pikes Peak International Hill Climb race in Colorado on June 30. The racecar was optimized for maximum downforce solely using Exa Corp.'s PowerFLOW aerodynamic simulations. What happens to a resonant wireless power transfer system in the presence of complex electromagnetic environments, such as metal plates? A team of researchers explored the influences at play. Autocar auto news out of the U.K. does an excellent job introducing the latest preview and concept cars at the Frankfurt Motor Show taking place now (Sept. 10-22) in Germany. Our only question is, "How can they remain so calm?!" Check out the Jaguar C-X17, Audi Nanuk, Ford Mondeo Vignale, Lamborghini Gallardo Squadra Corsa, Ferrari 458 Speciale, BMW i8, Porsche 918 Spyder, and more. One key theme this year: "It don't mean a thing, if it ain't got that wing." Using silicon to fabricate a sensor, scientists at the Naval Research Laboratory (NRL) have developed a technology that may revolutionize the way trace chemical detection is conducted. The small, portable, lightweight, low-power, super powerful sensor could be distributed to warfighters in the field and to security personnel at airports across the globe. It uses a unique 3D architecture to maximize the surface area of the sensor.